Fairfield, Connecticut, is home to approximately 60,000 citizens. Forbes Magazine named Fairfield the ninth best place to live in the country in 2006. In fact, Forbes rated it as the best community in the northeast in that year's rankings. Fairfield is ideally situated on Long Island Sound on what is commonly called the state's "Gold Coast." The discriminating home buyer will find homes for sale in Fairfield that range from historic estates to modern, million-dollar properties. The Fairfield homes for sale include those designed by well-known architects. Residential Fairfield real estate spans every decade of the 20th century. Newer Fairfield homes often include multi-car garages, pools, and all-brick construction. At the same time, the real estate includes homes that are renovated bungalows or more affordable split levels. Whatever your home buying goals may be, Fairfield CT real estate should offer you something of real interest. Fairfield was one of the earliest communities established in the Connecticut Colony. During the Revolutionary War, British troops swarmed across the sound from Long Island and attacked those supporting the War for Independence. The British burned Fairfield to the ground. As a result virtually every structure was built anew after the eventual victory. Notable fact: Faifrield is the headquarters of General Electric. Famous residents of Fairfield include Leonard Bernstein, "Crocodile Dundee" Paul Hogan, musician John Mayer, and Joe Namath. Downtown Fairfield is where the huge Sportsplex is situated. Indoor rock climbing, gymnastics, soccer and ice skating are among the varied indoor activities that keep residents busy in all four seasons of the year. 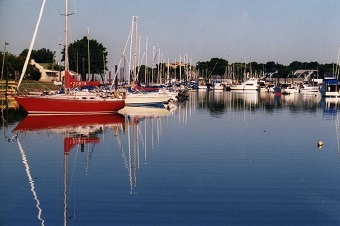 Fairfiield also operates the South Benson Marina and its 600 boat slips. Residents can rent slips here for the summer boating and sailing season. A popular wildlife sanctuary encompassing over 150-acres is found right next to the Center at Fairfield. This facility is operated by the Connecticut Audubon Society. Environmental seminars and special events are often held here. The sanctuary includes six-miles of boardwalk-style trails. Nationally renowned actors often appear at StageOne. The Regina A. Quick Center for the Arts at Fairfield University hosts an eclectic range of classic music, theatrical, dance and youth performances. The university is home to the permanent art collection of the Bellarmine Museum of Art. The fourth of July fireworks reflect off of Long Island Sound in a most memorable way. Enjoy them from either Jennings or Pennings Beaches. South Pine Creek Soccer Field is the site of Fairfield's annual Easter egg hunt. The Sherman Green Gazebo is home to the annual Fairlfield Summer Concert Series. Music lovers can enjoy jazz, rock, country or folk, depending upon the concert. Fairfield is one of the best home towns on the East Coast, with great scenery, coastal amenities and easy access to New York City. If Fairfield is your next destination, the smart call is the one to Barbara Wells and the real estate office of Houlihan Lawrence, 203-912-5644. They are experienced pros in all of Fairfield County, and have the latest information and best deals. They can guide you through the steps to finding the Fairfield home of your dreams. 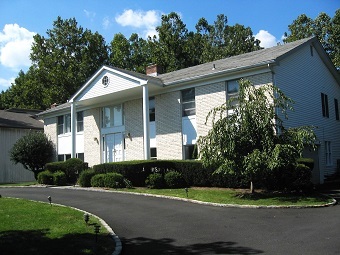 For information on homes for sale in Fairfield CT, please fill out the form below.